We’d like to extent a heartfelt congratulations to Meghan and Matt on their beautiful wedding day! We had a great time photographing this wonderful couple on one of the most important days of their lives. As the bride was getting ready by having her makeup and hair styled by the talented team of Pin It Up Bridal, the groom looked handsome as he wore his dashing suit styled by The Black Lapel. The bride finalized her wedding day look once she put on her gorgeous gown styled by Martina Liana. 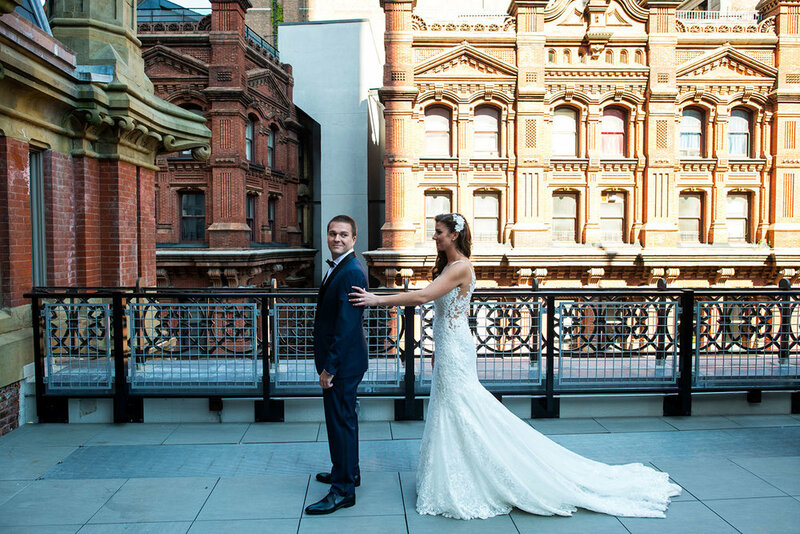 After an emotional wedding ceremony, the lovely married couple and their guests came together for a celebration at Ciprianis in the Wall Street area. The floral arrangements truly stood out in the venue thanks to the amazing Ivie Joy. Ciprianis’ catering was fulfilling for the guest’s appetites and they soon got to dance it out to music played by the amazing band The Gold Keys. Everyone had an incredible time celebrating the newly married couple. The decor, lights, music, and dance floor welcomed everyone to have an unforgettable night. The venue was topnotch due to the delightful planning done by Jose Rolon. Congratulations to Meaghan and Matt once again! It was truly a pleasure photographing them!